Eco-Friendly HP 312A Remanufactured Toner Cartridges is Now Available at TonerGreen | TonerGreen - Eco-Friendly Toners from the U.S.
Own an HP Color LaserJet Pro M476DN, M476DW or M476NW at home or working with one in the office? Looking for printer supplies to keep your laser printers working? Then, you'll be glad to know that you can now print on your HP Color LaserJet Pro M476 printers at a lower cost-per page while reducing your carbon footprint. And how will that be possible? Well, it's because TonerGreen.com, the leader in providing environmentally responsible printing solutions, now offers eco-friendly HP 312A remanufactured toner cartridges. Experience ultimate Eco-Value when you purchase our remanufacured HP 312A toner cartridges including practical environmental solution, world-class service, and the highest quality toner cartridges at the most competitive price. Our HP 312A toner cartridges have printing page capacities of up to 2,400 pages for the black toner and 2,700 pages for the color toners each. It replaces OEM part numbers# CF380A, CF381A, CF382A and CF383A (Black, Cyan, Yellow, Magenta). 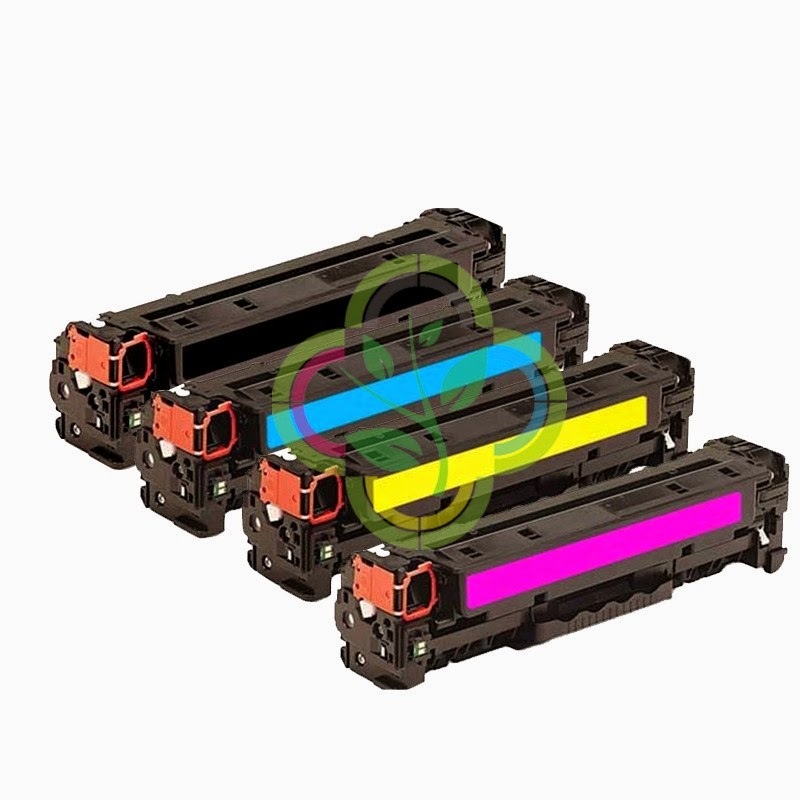 Our HP 312A toner cartridges So why should you buy our eco-friendly HPis made from 40-75% recycled parts thus are offered at a more reasonable price. Our Toner Cartridge Sets are 100% Made in the US. Our factory is supervised by engineers and experienced technicians who are on-hand to monitor the effectiveness of the remanufacturing process. Furthermore, each TonerGreen Toner Cartridge Set is tested for output quality. Plus, each Toner Cartridge Set comes with 2 Year warranty and we assure you that using our Toner Cartridge Set will NOT void your printer warranty. With TonerGreen products, you can save as much as 60% and help save our planet at the same time. Our in-house manufacturing facility ensures that our remanufactured HP toner cartridges are of excellent quality to match OEM standards.